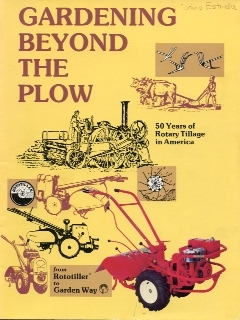 Research for Gardening Beyond the Plow was done by Garden Way to document their tiller business as Rototiller, Inc. from 1930 to 1980. It covers the earliest days of rotary tillage to Rototiller thru Garden Way. 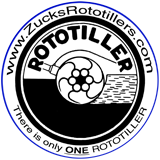 You will see it was undoubtedly a great company to work for and unlike many companies today they had a real concern to make a quality product for the customer instead of dwelling on how to make more and more money, at least for these fifty years. Thanks to MTD Products, Inc. for giving me permission to scan and make this booklet available. Click on the cover to view the booklet.